Mycenae is one of the most famous of all ancient sites. We know that it was inhabited as far back as the Early Bronze Age, 2500-2300 B.C. But its period of greatest glory was from 1600 to 1200 B.C. 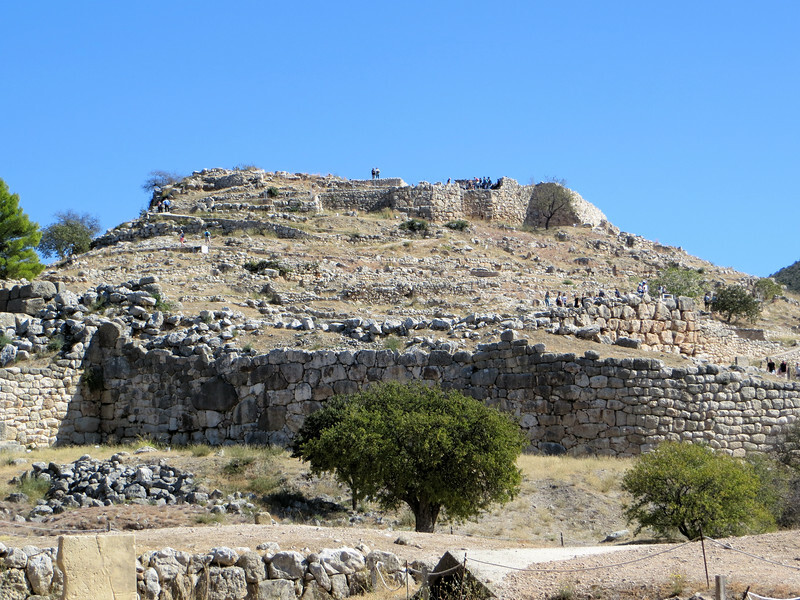 Mycenae held a pre-eminent place among the states that participated in the Trojan War, led by its great king, Agamemnon. The site was never buried, and was well known to exist. Serious excavations began in the 19th century and are ongoing. We know a great deal about the Mycenean civilization.